some features in the new software are not active because the software is constantly developed. 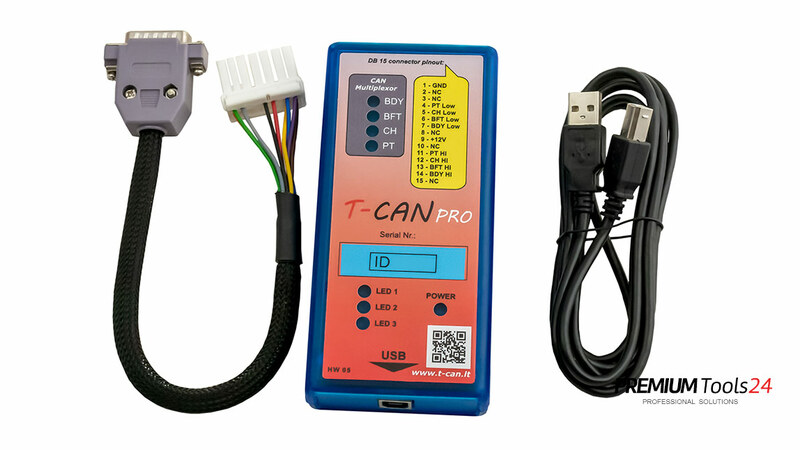 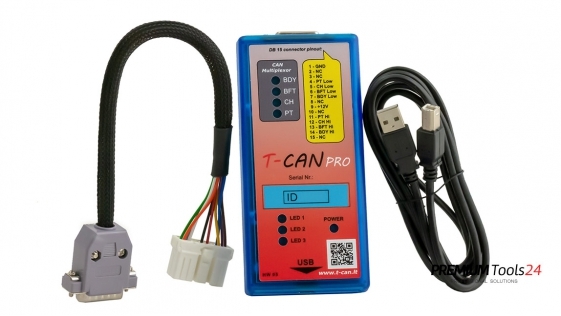 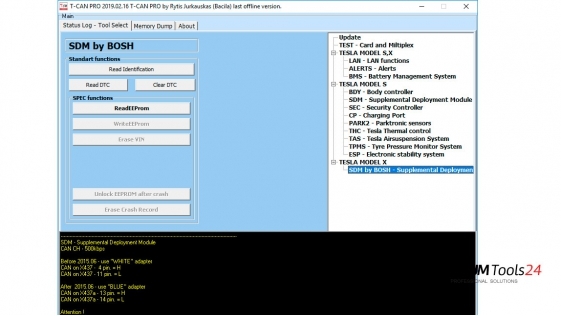 What you need to know before you start thinking about Diagnostic Tool T-CAN for Tesla MODEL S & X ! - This Tool is designed for absolutely qualified personnel ONLY !!! 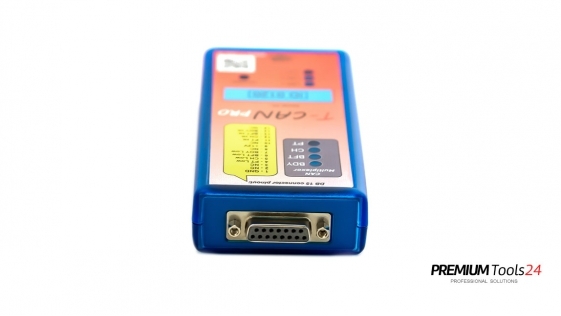 - You must understand risk of LOOSES if YOU do something WRONG !!! like learning keys or make adaptations of BMS controller. 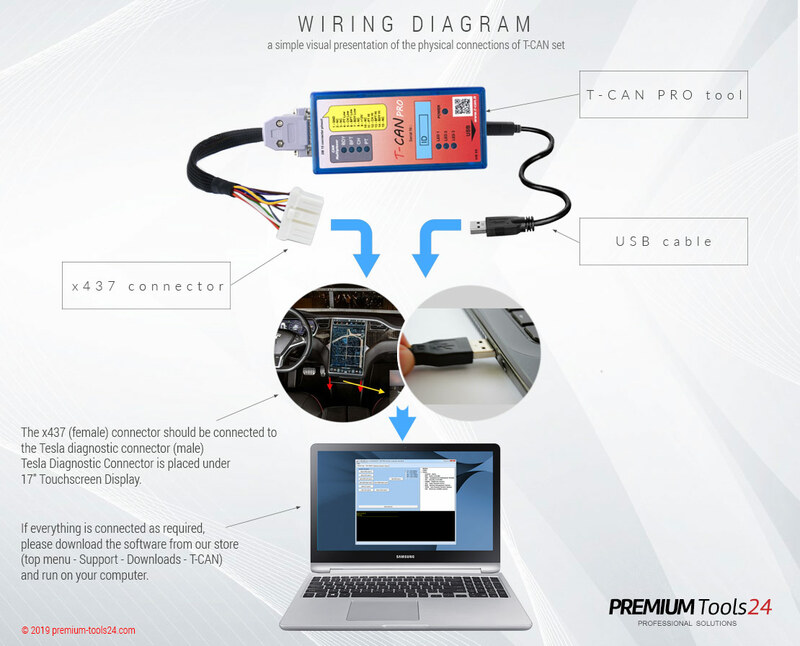 - You must have skills of electronics (for making adapters or make connection to vehicle CAN connector) ! 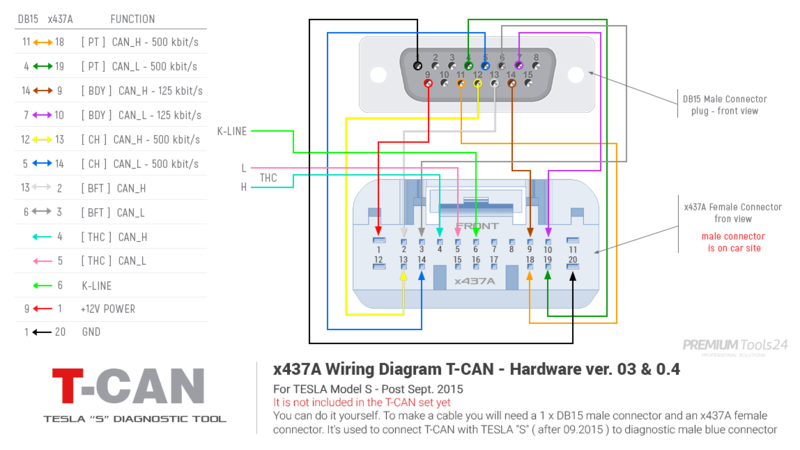 The adapter with connector x437 for TESLA befor 09.2015 you can do yourself, or just better option to buy and use multiplexer. 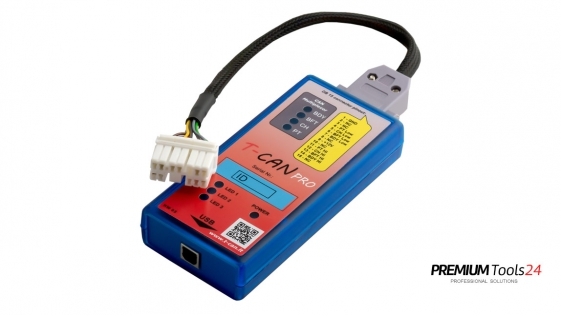 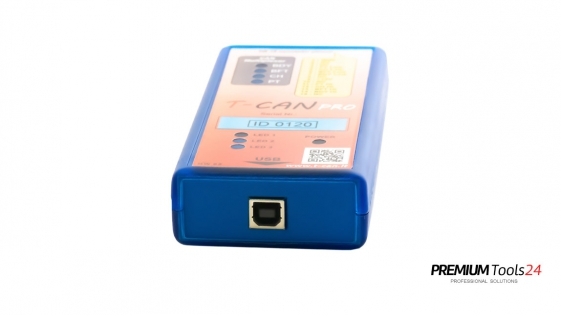 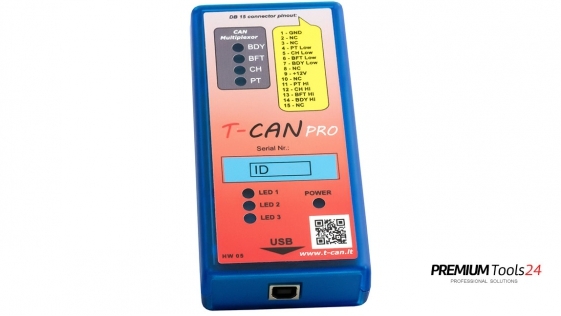 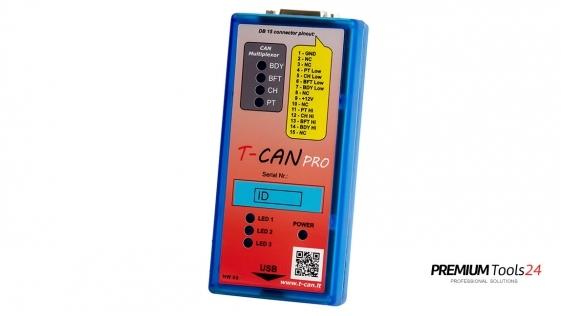 We sell a set - T-CAN + Multiplexer.